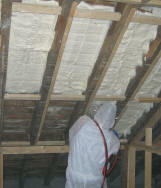 Handi-foam DIY spray foam kits have greatly simplified sprayed polyurethane foam and are ideal for do-it-yourself (DIY) insulation at home or at work. These easy to use kits mean no more costly contractors and can be used even if you have little or no DIY experience. 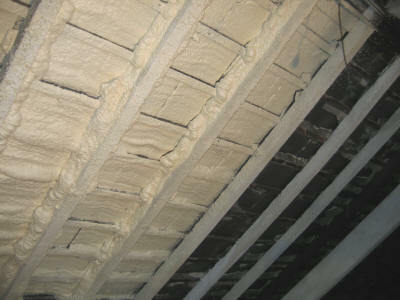 To see how easy spray foam insulation is applied in various applications, please view the following video clips. Due to the large files sizes, these videos are best viewed via a broadband or ADSL internet connection. In this clip you can see how easy insulating timber framed stud walls can be. With foam boards you would have to accurately cut the insulation boards to fit between the studs. 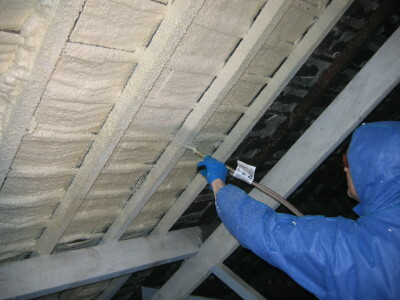 Just spray the foam on and save time & effort with no wasted "off-cuts". In this video clip you can see how easy spray foam is to apply to uneven surfaces and how well it sticks to metal surfaces. The foam sticks incredibly well and cures in seconds!. Keep the warmth in during winter and the summer heat out! In this video, we demonstrate how the slow curing Xpandi-Foam injection foam fills a typical cavity wall.